Virtual reality headsets, Nintendo games on mobile phones, mini NES replicas and new versions of Xbox One and Playstation 4. 2016 was a pretty great year for video games. There really has never been a broader range of ways to play and enjoy video games than in 2016. I’m pretty excited for everything that’s around the corner in 2017. I haven’t felt that the Playstation 4 or the Xbox One significantly improved upon the graphics of the previous generation of consoles but I take it all back when I see games like Horizon: Zero Dawn running at 4K on Playstation Pro hardware. It looks incredible. Likewise, its easy to see the limitations of Playstation VR, Sony’s first attempt at a virtual reality headset but at the same time, all you need to do is spend five minutes with Rez VR or the shark tank demo in Playstation Worlds to appreciate how amazing this tech is going to be as it improves. Playing Resident Evil 7 in virtual reality next year is a tantalizing prospect. But for now, in 2016, the vast majority of games that I played and enjoyed were traditional video games running on a Playstation or an Xbox on the same tv I’ve had for six years. And you know what? Those games are still amazing. It’s always a good sign when it’s difficult to trim the selection down to just ten games. I could easily have doubled the size of this list. 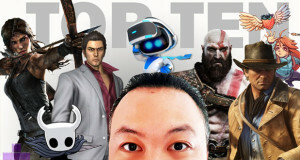 Looking at my ten favourites, there were plenty of games from independent developers who are at the forefront of producing the most exciting new experiences. 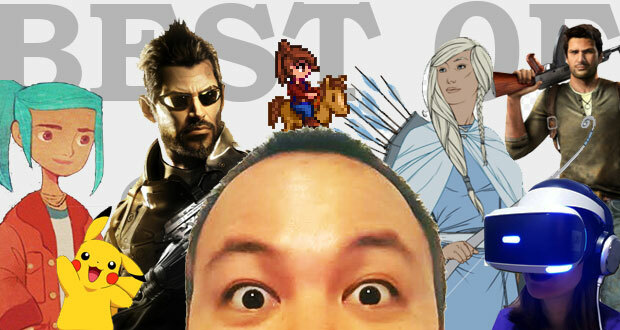 My Game of the Year was a game made by one guy. He did the coding, art work, soundtrack and everything. Just extraordinary. One territory that is pretty under-represented this year is Japanese games. Partly, that has been an issue of timing with some of the most high profile releases – Pokemon Sun/Moon, The Last Guardian, Final Fantasy XV – all releasing in the last six weeks of the year so I haven’t had an opportunity to spend time with them yet. It’s also because there’s a slumbering giant – Nintendo – who has been quietly working away on launch games for their new hardware, the Nintendo Switch – which releases early next year. I expect the representation in 2017’s top ten list to look considerably different. On that note, here it is, my ten favourite games of 2016. 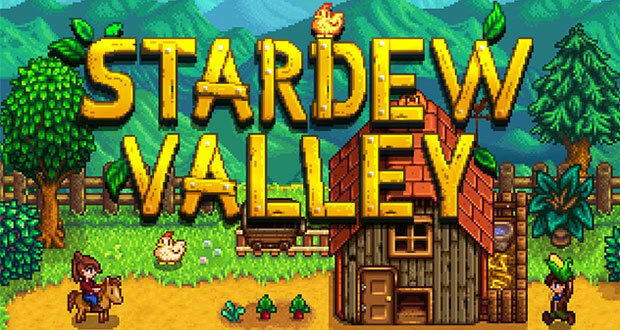 A four year project built and designed by a single person, Eric Barone’s Stardew Valley is my pick for Game of the Year. Inspired by the popular Harvest Moon series, Stardew Valley tells the tale of a glum jobsworth working a dead end office job who inherits a farm from their late grandfather. The player moves to Pelican Town where they spend their time growing crops, tending to livestock, fishing, exploring caves and socializing with the locals. Conceptually there are plenty of games that offer a similar experience to Stardew Valley but I can’t think of any that are as well honed and compulsive to play. The games oozes charm and personality, with the 28 denizens of Pelican Town each having a distinct personality and story arc to follow. The day-to-day gameplay loop in Stardew Valley never gets old. Waking up, feeding the chooks, harvesting bok choy and kale, brewing pale ales, making goats cheese and then fishing at the nearby lake. Maybe some cave spelunking in the afternoon and then catching up with the mayor’s daughter Penny in the evening on horseback. That’s a typical day in Stardew Valley. When you factor in the additional variety that the game introduces by changing weather patterns, different seasons, time-specific festivals and events, constantly developing storylines with the residents of Pelican Town…the game is absolutely packed with content to keep you coming back. Which – it bears repeating – is an extraordinary feat considering that this is the work of a single person. Open-ended, lovingly crafted and constantly surprising, I didn’t play a better game than Stardew Valley in 2016. Naughty Dog’s final chapter to its popular Uncharted series was a fitting send off. Graphically, it stands head and shoulders above its peers. There is no game on home consoles that looks as lush, detailed and vibrant as the world Naughty Dog have created. Those same production values also carry across to the superb story telling, voice acting and art design which genuinely rivals the output of Hollywood blockbusters. Gameplay wise, Naughty Dog didn’t rest on their laurels and made Uncharted 4 the most entertaining game in the series to date. Critics have occasionally been sniffy about the Uncharted games as being a matter of style-over-substance. 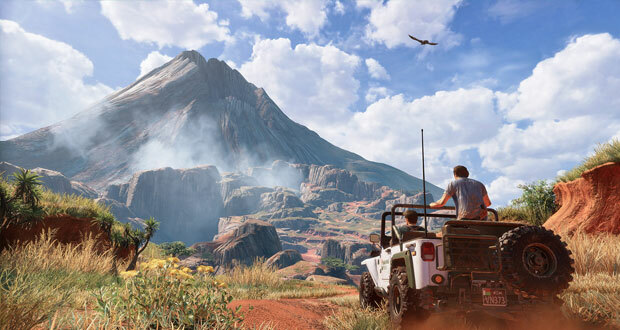 With Uncharted 4, Naughty Dog has taken some steps to address this by significantly expanded the scale of the levels, giving the player greater flexibility to explore the environments as well as introducing some additional stealth-oriented mechanics to tackle the myriad of enemies. Of course, the signature bombastic set pieces remain a feature of Uncharted and some of the craziest action sequences (the motor cycle chase sequence in Panama) can be counted amongst the best in the series. Explosions, chases, hidden treasure and sinister enemies. Uncharted 4 is an emphatic final adventure for Nathan Drake and in case fans were wondering whether the series would continue on from here, the game’s prologue gives us a pretty clear idea of where the game’s future could lie. The Banner Saga series remains criminally overlooked in my opinion. A tactical turn-based RPG that was originally produced off the back of a Kickstarter campaign, Stoic Studio’s series draws the player into a gorgeous fantasy world with incredible Ralph Bakshi inspired artwork and a sprawling narrative that is filled with interesting creatures, cultures and landscapes. In the original game, the player would lead a caravan of villagers and warriors, desperately trying to guide them to safety away from the marauding Dredge. The play mechanics involved battling hostile enemies, deciding on food rationing, making choices on when to stay on the road and when to make camp, and lastly, juggling diplomacy with the various races and species that your troupe would come across. In The Banner Saga 2, the size and scale of the game has increased to match the scale of the ever-expanding narrative. There are now multiple heroes, multiple caravans, intertwining stories and all new creatures and species to play as. It’s a fine continuation of the foundations built in the original. 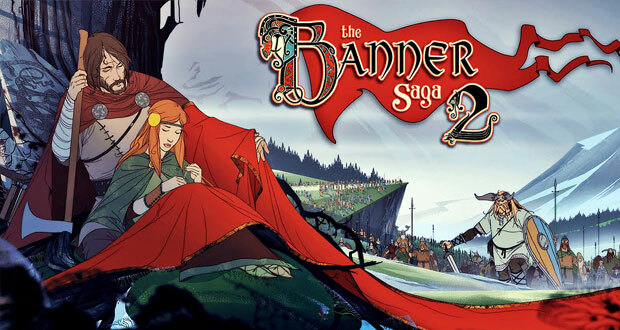 I can’t quite put my finger on why The Banner Saga series doesn’t have a bigger following. It plays like Final Fantasy Tactics. It looks like The Lord of the Rings animated film. It’s one of the best fantasy games going today. Historically speaking, the video game industry does not have a great track record when it comes to social commentary about warfare. The vast majority of titles are couched in a simple, patriotic presentation style with explicitly defined heroes and villains. Holding a gun mean that you – the good guy – shoot a bad guy to complete a mission and ‘win’ the war. In recent years, this has begun to change. Valiant Hearts: The Great War and Spec Ops: The Line are two examples of games that viewed warfare with an uncommonly measured and weary gaze. 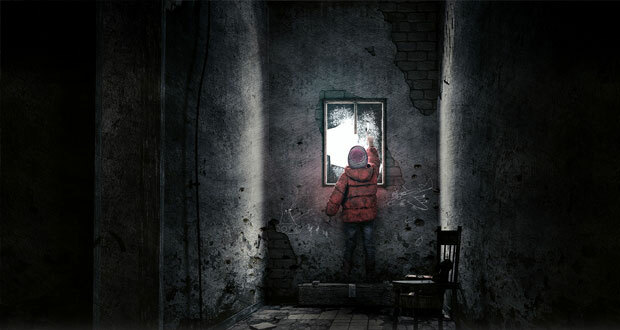 Which brings us now to 11 bit studios and their civilian-focused survival game This War of Mine: The Little Ones. 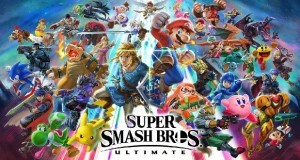 The game includes the original title released on PC in 2014 as well as some additional content – namely the inclusion of child characters. Inspired by the Siege of Sarajevo in the Bosnian War of the mid Nineties, This War of Mine portrays everyday men and women who are caught in a crossfire in the fictional city of Graznavia. The player controls a handful of individuals who take refuge in a shell-shocked house that has been abandoned by its original inhabitants. This War of Mine has sky-high ambitions for the emotional register and atmosphere they’re trying to build and on the modest budget of an independent game it could have easily fallen flat. But the narrative passages, the distinctive charcoal art aesthetic and the well-designed game mechanics successfully bring that ambition to life. Very few video games know what to do with their ending. Inside is that rare instance where the ending makes the game. You have to experience it unspoiled. Many people, myself included, liked but didn’t love Playdead’s previous title Limbo. From memory, I think it came out in a year where a lot of other high profile games stole its thunder. But credit to the studio, they came back in 2016 with a bang by releasing one of the most atmospheric and engaging games of the year. 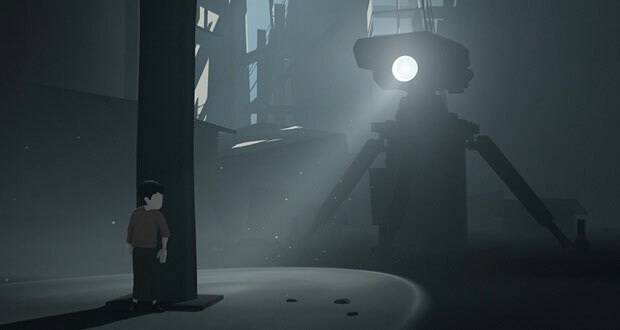 Inside has a similar wordless and monochromatic aesthetic to its predecessor (okay, there’s a smidge of colour in there) and trusts the player to work out what it is going on for themselves both with the gameplay and with the narrative. There are simple platform and box-shifting puzzles not unlike Limbo. And had that been the entire game, I think they still had something that would be fondly remembered and appreciated. But its that final act, which turns the game on its head and goes in a direction I can’t really ever recall seeing in a game before that truly makes it something special. It’s hard to fully express just how memorable it is without giving the game away. Needless to say, if you didn’t play Inside in 2016, you should definitely do so and you should go into the experience knowing as little as possible. It’s weird, broody and quite wonderful. Intelligent Systems’ much anticipated follow up to Fire Emblem Awakening doesn’t quite reach the heights of its predecessor but its still a damn fine tactical RPG in its own right. Where the games doesn’t quite match Awakening in terms of its cast and story-telling, it makes up for in breadth of content. The game was released in two iterations – Birthright and Conquest – with each title following a different set of characters in the same story. Additionally, there’s a third option once players progress to a certain chapter – named Revelation – which is accesible via DLC. That’s a lot of Fire Emblem! 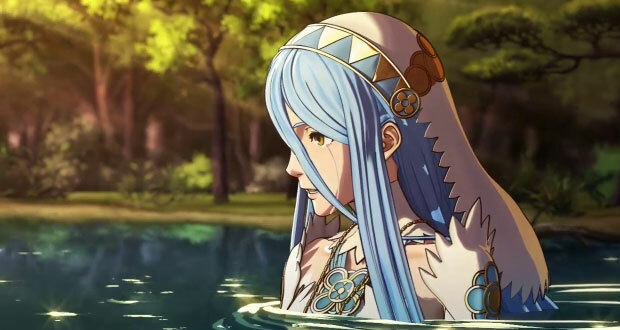 For a series that is over twenty five years old and spans over a dozen iterations, the best thing about modern Fire Emblem games is the ever increasing range of options afforded to the player to make the experience more customizable and accessible. The series is famous for its unforgiving difficulty when played at the highest levels but for relative newcomers such as myself, I appreciate the option to dial that back a little and still get an enjoyable experience. From its humble origins on the NES, Fire Emblem sure has come a long way. With Fates, the series is spoiled with lavish cut scenes, additional trimmings in the form of a base building mechanic and a sprawling story mode. It’s no surprise that Fates has become the best selling edition of the game to date and its only going to get bigger and more prominent next year with the arrival of its first ever mobile version. If you haven’t heard of Fire Emblem before, you will soon. Sometimes, I wonder what it must be like in the mind of Jonathan Blow. The man is a puzzle game auteur who has created some of the most intricate, high concept video games ever designed. He did it once already in 2008 with the incredible time-bending game Braid. And now he has done it again. 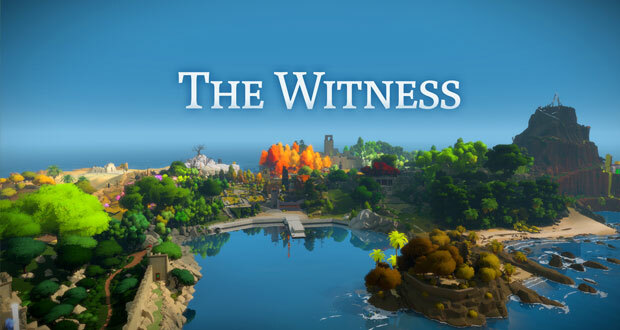 Blow’s long awaited game The Witness drew its inspiration from the popular Nineties puzzle title Myst. Eight years in the making, the game is one of the most ambitious puzzle games I have ever seen created. By refraining from including any text or instruction, the game teaches the player how to solve puzzles through symbology. Each puzzle in the game uses visual language that builds upon a previous puzzle. Over time, the player comes to learn and speak a language of puzzles. Increasingly abstract and visually dense challenges become understandable utilizing a combination of symbols and puzzle algorithms that the game has taught the player. It’s quite extraordinary. Just like Braid before it, Jonathan Blow has not just a handful of mechanics up his sleeve but dozens, possibly even hundreds. Some of the puzzles involve pattern recognition. Some make use of colour palettes. Some use audio cues. Some use perspective tricks. Some use path-finding. The rabbit hole leads down pretty deep with this game. Of course it goes without saying then that The Witness can be hard and downright infuriating at times. But a wise piece of advice that I frequently saw shared online for players stuck on a puzzle was to take a walk. Simply put the controller down, clear the mind and come back. The puzzle that had you stumped after you sat there staring at it for an hour suddenly becomes solvable in minutes. And the feeling of overcoming a tricky puzzle you couldn’t get your head around before? There’s nothing quite like it. One of the most mind bending but satisfying games to play in 2016. 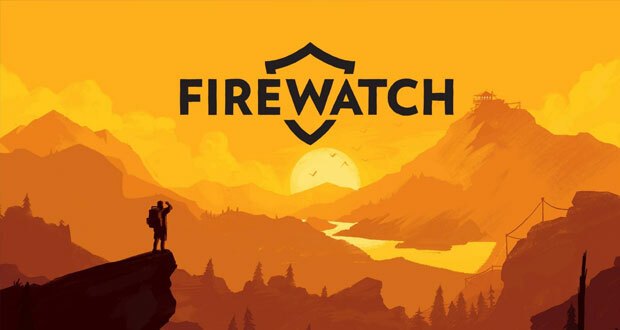 For me, Firewatch was an absolute joy to play. Like a good book or a thought provoking film, the characters, the mysteries and the ending stayed with me long after I completed the game. The quality of the script is what elevates Firewatch amongst its contemporaries. Campo Santo writer Sean Vanaman has created a fascinating pair of lead characters and the overall presentation of the game – the sun baked Wyoming forest, the musical score, the distinctive keepsakes of the Eighties – gives it a vibrant, distinct identity. The medium of video games had their own Stranger Things months before television got theirs. 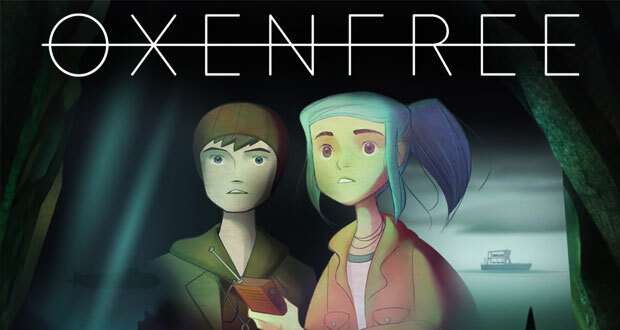 Released in January, Night School Studio’s Oxenfree was a delightful retro-inspired adventure game that took its characterization and story beats from the likes of Freaks and Geeks and eighties pop culture. The game tells the tale of a handful of teenage kids who board a ferry to Edwards Island. While partying on the beach, the kids witness a supernatural event that they can’t quite explain. Suddenly, people are missing, communication towers are down and there is a mystery to be solved. Oxenfree was one of my favourite story-driven games this year. 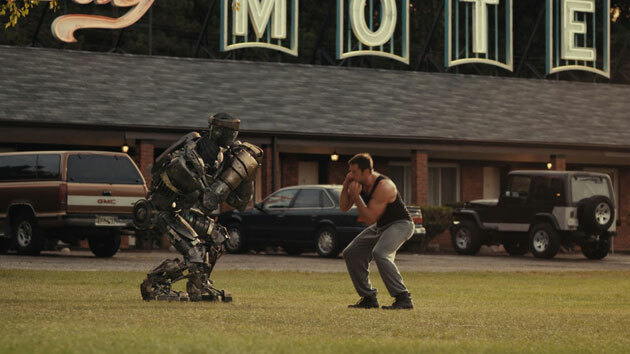 It had a fantastic cast of characters, a briskly paced story that didn’t overstay its welcome and was brimming with personality through its art style, dialogue and musical score. I’m not normally one for racing games but Forza Horizon 3 from Turn 10 Studios is really something. The Horizon game franchise was built from the ground up to be accessible to casual racing fans and with Forza Horizon 3, the series has reached a new peak. The game definitely lives up to its billing of being a racing title for the masses. It is absolutely gorgeous to look at, it takes no time at all to get around the handling and driving mechanics and it has some incredibly slick production values that makes the whole experience shine. The game casts the player as a racing event organizer so each race, stunt and challenge the player participates in is designed with the idea to attract more fans and sponsors. 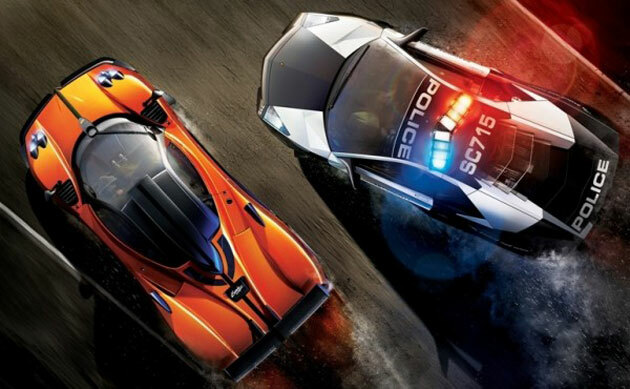 The core of the game – the racing itself – is absolutely note perfect. The driver AI is competitive without ever being unfair. The sense of speed is sensational. The handling sits somewhere in the middle of the spectrum between Burnout and Need For Speed. Blistering pace on the straights and rubber-burning drifts around sharp corners are the order of the day. A good racing game that keeps players coming back knows the importance of progression in its single player mode and this is where Forza Horizon 3 really shines. Each activity in the game unlocks oodles of new content in the form of new cars, decals, tracks and even new radio stations for your car. It is a game that constantly rewards the player with content and it is easy for ‘one quick race’ to turn into an hour long play session. 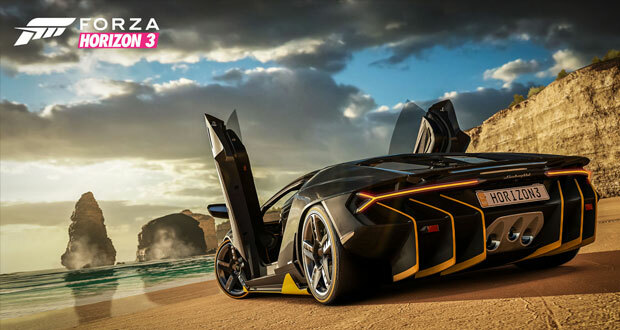 Best of all, Forza Horizon 3 is set in Australia (!) and does a pretty good job of creating a digital Down Under landscape. Road markings are identical to the real thing and races take place in real locales such as the Great Ocean Road, Byron Bay, Surfer’s Paradise and so on. Very few video games are set in Australia and even fewer still take the time to recreate the country with any level of authenticity. Its a novelty in Forza Horizon 3 but one where the detail is genuinely appreciated. 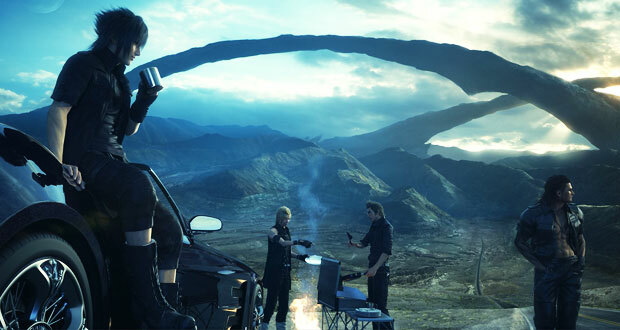 Final Fantasy XV [Playstation 4] – At long last, after eight years in development hell, we have a new Final Fantasy. I’m only a few hours in but the early signs are promising. The game is not afraid to mix up some pretty sacred RPG tropes starting with doing away with XP at the end of battles. FIFA 17 [Playstation 4] – The new story mode was fun, I’m happy I can still play as the Matildas and the netcode for this version was terrific. Remains the king of sports titles alongside the NBA 2K series. Phoenix Wright: Ace Attorney – Spirits of Justice [Nintendo 3DS] – The sixth mainline instalment of the Phoenix Wright series is as humorous and bizarre as fans of the series have come to expect. I’m just happy that Capcom continues to bring this series over to the West. Playstation VR Worlds [Playstation 4] – Playstation Worlds, and in particular the Shark Tank and Gangster stages, remain the best way to introduce people to Playstation VR. Pokemon Go [Playstation 4] – For a couple of months there, Pokemon Go blew up like crazy. They’ve added a bunch of new features to it since but I think its time in the spotlight has passed. It was a genuine phenomenon and it’ll be interesting to see whether Nintendo franchises will have a similar impact next year. Ratchet & Clank [Playstation 4] – A visual sumptuous and eminently playable remake of the original title. Rock Band Rivals [Playstation 4] – It took three years but finally, we have a version of Rock Band in Australia where you can redownload the content off previous Rock Band games and load them into the new game. I still really enjoy this series and it was neat to boot up some old tracks and play them through once again. Deus Ex: Mankind Divided [Playstation 4] – A fine sequel to the excellent Deus Ex: Human Revolution. The game ends on a cliff hanger but hopefully we won’t have to wait another five years for the closing chapter to Adam Jensen’s story. Mafia III [Xbox One] – I’m new to the Mafia series but was drawn in by the third chapter’s unique setting – you play as an African American returning from the Vietnam War to New Orleans in the Sixties. Institutional racism, government corruption and police brutality are figure into the story of Lincoln Clay. 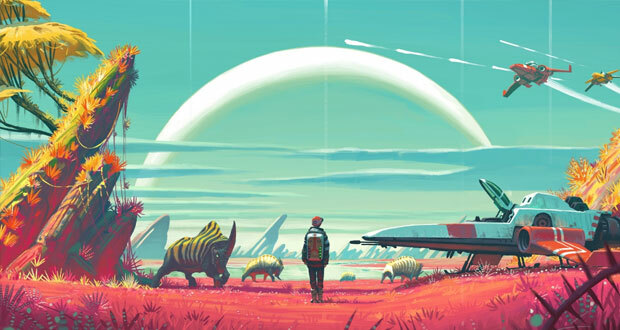 Easily the most ambitious and notorious game of 2016, Sean Murray and Hello Games literally promised players the universe with their debut title No Man’s Sky. The game sort of delivered on its premise. There are indeed millions of planets to explore. But the tissue thin gameplay and the absense of key features promised in the lead up to launch left a bitter taste in many player’s mouths. Anecdotally, this is the most refunded game of 2016. The Nintendo Switch is Nintendo’s new hardware that is set to launch in early 2017. But the development of this new system came at the expense of the poor Wii U which had a measly handful of games to play in 2016. It’s been a brutal 12 months for Wii U owners and this new hardware can’t come soon enough. Only four years old, this system is gathering dust and died an ignoble death. After six years, I’m finally ready to upgrade my tv to something 4K compatible and prepare for some of the amazing looking games that are coming out in 2017. So the launch of the Playstation Pro seems like the perfect solution right? But wait, what’s this? The system inexplicably doesn’t play 4K movie discs, there isn’t a consistent answer to what exactly the ‘Pro-version’ of Playstation 4 games enhances and in some of the worst instances, there are reports of games that run worse on the Pro than they do on the original Playstation 4. Sony made this upgrade way more complicated than it needed to be and when I’m looking for a single platform solution to have a 4K entertainment device, I’m currently inclined to wait for Microsoft’s Project Scorpio to see if they can do any better. Sony has absolutely crushed its competitors in terms of sales and mind share this generation and subsequently, it goes without saying that the best games library and best online community for console players in 2016 is on the Playstation 4. The best thing about having a console reach the level of market penetration that the Playstation 4 has achieved is that it creates an ecosystem where plenty of mid-tier, experimental and indy games can thrive. The PS4 also offers the widest library of games and there are plenty of gems on there that cannot be played elsewhere (The Last Guardian, Uncharted 4, Persona 5). It also has the PlaystationVR going for it which should offer some incredible, unique experiences in 2017 as its audience continues to grow. 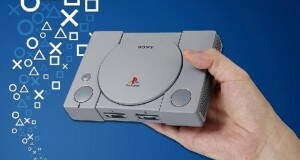 Of course the absence of full backwards compatibility still bites. Hopefully this is something Sony will eventually address in 2017. 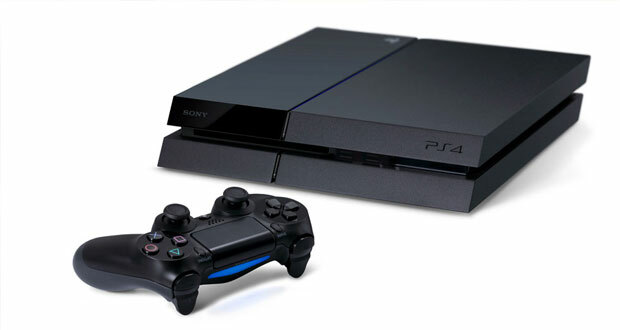 The future continues to look bright for the Playstation 4. Horizon: Zero Dawn, Final Fantasy VII: Remake, Uncharted: The Lost Legacy, God of War, Death Stranding, Ni No Kuni II and a little something called The Last Of Us II. The PS4 is turning into one hell of a console.